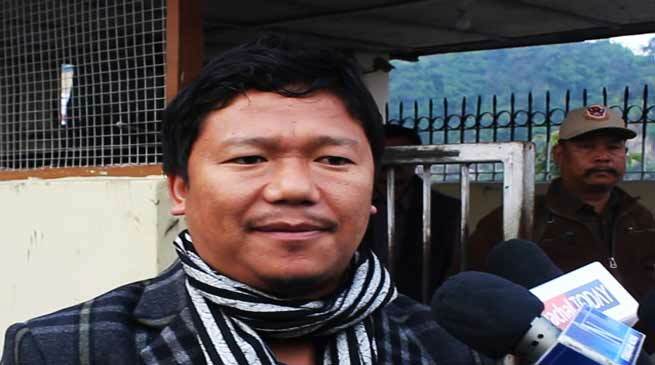 The meeting on Chakma-Hajong issue was unsuccessful, said All Arunachal Pradesh Students Union (AAPSU) President Hawa Bagang while speaking to the reports at Helipad this afternoon. Bagang said that we went were with lots of hope that everything would go well but we were not given sufficient opportunity to speak at the meeting and able to present our grievances properly and the attitude of the official were like same. He said that there were lots of discussion with government of India official and there are no changes and we have stuck to our stand in one word “ we would not allow for citizenship”, the cooperation of the officials of MHA was not upto the mark. Next meeting would be held in state and hope that it would be held in February next and we would be able to present our genuine grievance at the meeting wherein Joint Secretary MHA will attend. On China issue there have been no relation of our Arunachalee with China and we have nothing to do with their issue. We do not consider China in our heart. China is not for respect and we don’t want to cooperate with China since earlier days, Bagang added.